Upma is a traditional south Indian dish. It is available as a breakfast dish in most of the restaurants in Tamil Nadu. 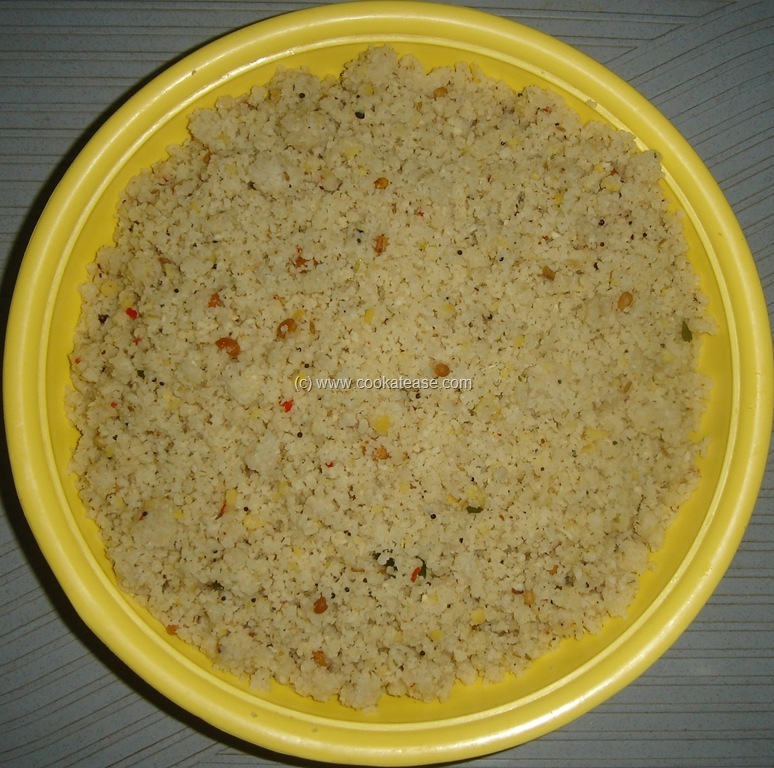 Upma is prepared with one of the ingredients like rice, vermicelli, broken wheat, oats, puffed rice and semolina. 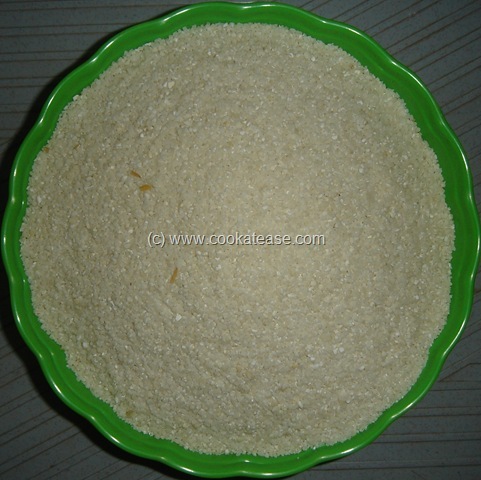 Almost all are same, with some variations in seasoning. To make it more tasty and healthy, vegetables are sometimes added in Upma. 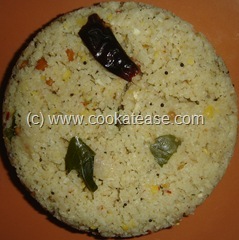 Rice Upma is easy and simple to prepare. This can be prepared with rice rava, in a pan or also in a pressure cooker. 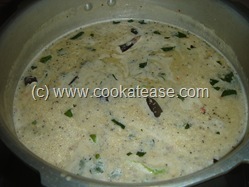 I prepared it in a pressure cooker. 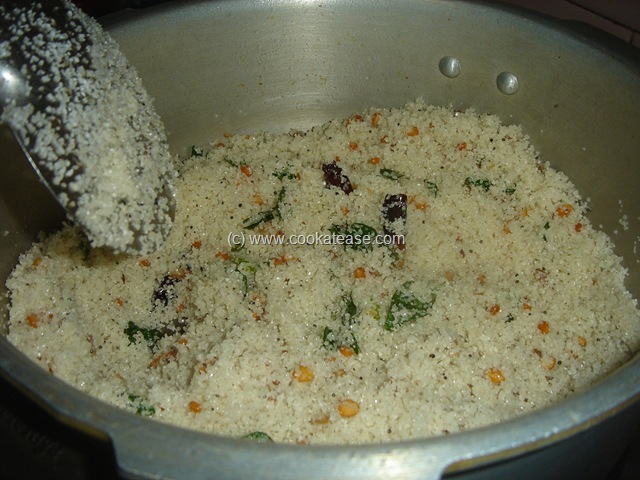 Cooking time: 25 to 30 minutes. 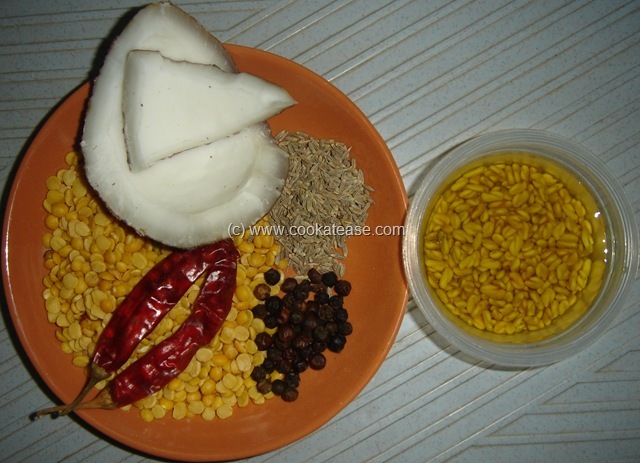 Dry roast rice rava, till raw smell goes away (say for 2 minutes); chop ginger and green chilli; wet grind items given with little water. In a cooker add oil and do the seasoning; add ginger, green chilli and fry for few seconds. 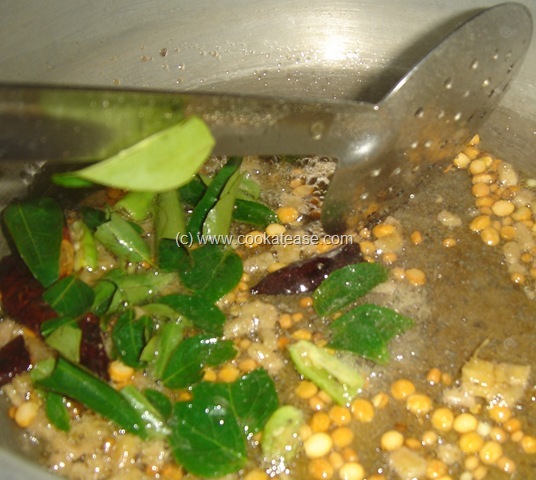 Add rava, fry for one or two minutes so that oil is mixed well all over the rava. 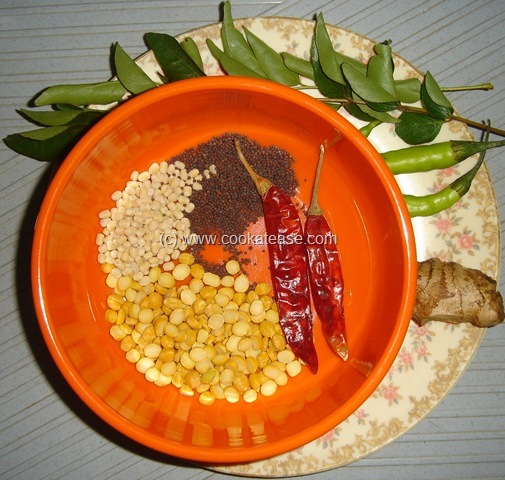 Add wet ground masala and 6 cups of water (rava and water proportion is 1:2). 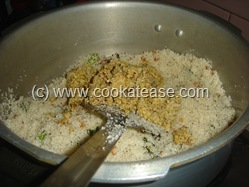 Mix well, add salt and pressure cook for 5 minutes or for one whistle; allow it to cool and then mix well. Serve with chutney or gotsu. 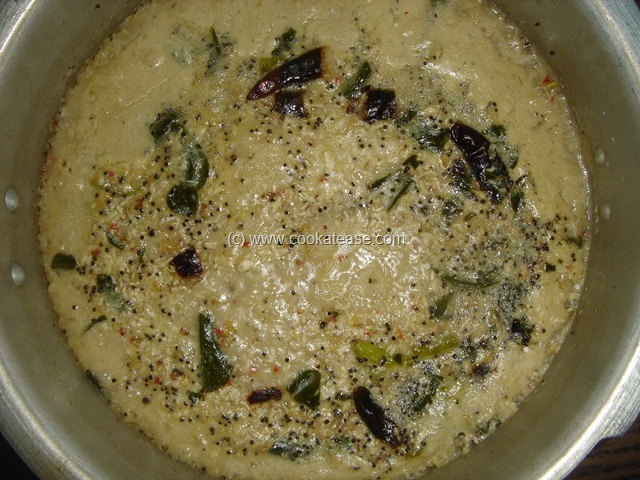 Soaked fenugreek is used to give nice aroma and soft texture to upma, even after few hours of cooking. 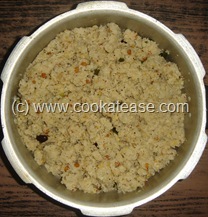 To prepare in a pan also, we need 1:2 proportion of rice rava and water. One of my favourite upma…looks yumm!! Wishing you & your family a very happy and prosperous new year! !